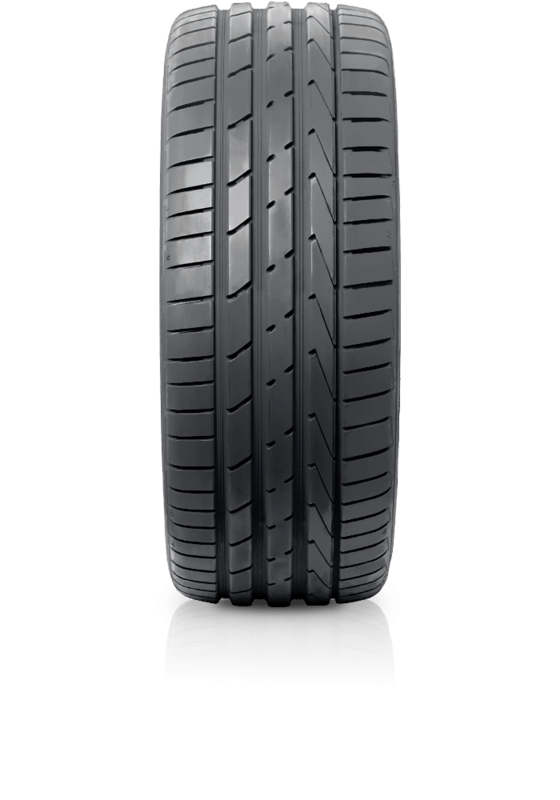 Hankook Ventus S1 evo2 K117 is an ultra-high performance tyre offering superior balanced performance for premium and luxury cars. Hankook Ventus S1 evo2 K117 is an ultra-high performance tyre offering superior balanced performance for premium and luxury cars. The Ventus S1 evo2 has been developed by Hankook’s European Technical Centre, in co-operation with its R&D Headquarters in Korea, to meet the very high demands of Europe’s premium motor vehicle manufacturers. The tyre features triple-layered tread blocks which, as they wear down, increase the tyre's contact patch and therefore improve dry traction. On the shoulders of the tyre Hankook has added “intercoolers” – a series of crater-shaped indentations that create additional air turbulence and thereby assist in removing some heat from the surface of the tyre. The Ventus S1 evo2 benefits from another aerodynamic innovation: rectangular dimples on the sidewalls create a micro-vortex as the tyre rotates, assisting in the reduction of aerodynamic drag, in turn lowering noise and vibration levels. Optimal groove position and angles by rib block stiffness simulation improved handling performance on dry road and 3-D blocks and detail design elements maximized wet braking performance.